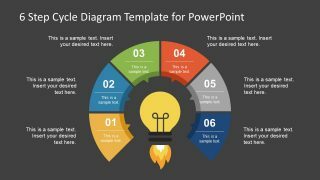 The 6 Step Cycle Diagram PowerPoint Template is a multi-purpose presentation. The lightbulb core of slides welcomes the innovative business solutions. 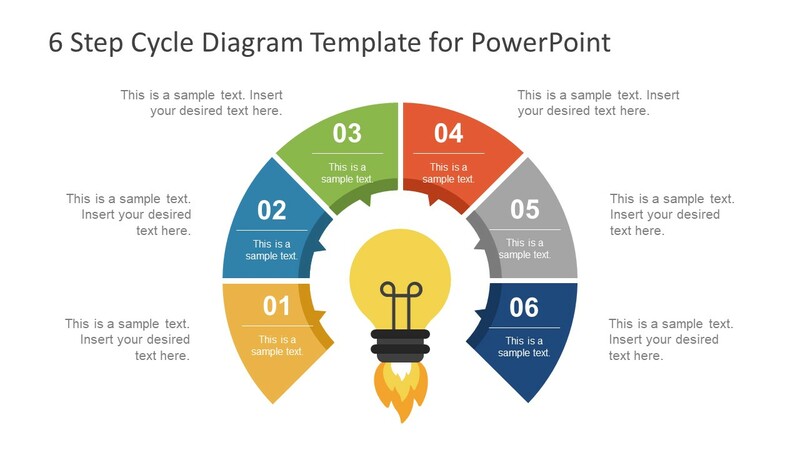 The PowerPoint cycle diagram shows 6 segments around the lightbulb clip art. 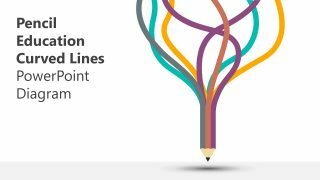 The brilliant diagram design provides two unique features. One, the label-shape segments in the circular cycle. And, the lightbulb clip art which fuels by fire. This is a metaphor to discuss the potential of latest ideas. 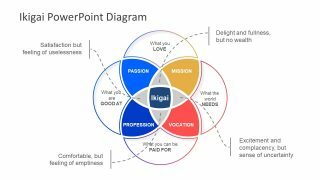 Therefore, the 6-step circular diagram for PowerPoint is an essential business presentation tool. 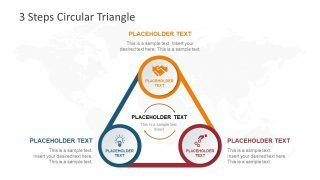 The users can customize and use the slides as a part of several multi-stage topics. 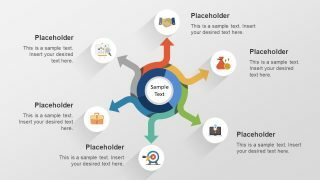 While the template can represent a number of business models and concepts through the process cycle. Such as the change cycle diagram or a unique 6 Sigma presentation. The template, however, helps individual students and entrepreneur to present their project ideas. 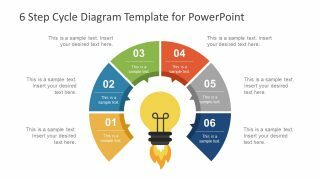 The 6 Step Cycle Diagram PowerPoint Template is an easy-to-modify set of two slides. The diagram design layout of both slides is the same. But, the two diverse backgrounds suggest the use of slides according to presentation’s theme. Additionally, the radial lightbulb clipart as the core of cycle diagram template can help explain the central concept. The label shapes of 6 step cycle diagram PowerPoint are pointing towards the lightbulb. It illustrates the centralized connection of processes. It is an editable PowerPoint of text placeholders. Also, the users can change the font style, size, and color in text placeholders. The cycle diagram PowerPoint is ideal for displaying continuing/recurring processes. The 6 steps template diagram shows the sequence of stages in a circular flow. Here, the bold numbers represent this sequence of events. Although, the creative business cycle diagram has a decorative light bulb center. The users can replace the icon or make design modifications to the lightbulb. Like changing the colors and sizes to create an impact on the audience.